A slight decline in home sales year over year, low interest rates and stable home prices coupled with elevated inventory levels, continues to make Saskatoon an ideal market for home buyers. At the end of August there were 2,183 active listings in Saskatoon, just slightly down from the record set last month. “In the coming months, home buyers will look back with hindsight and realize how opportune the market was with all of these elements in place.” According to Jason Yochim, CEO with the Saskatoon Region Association of REALTORS® “It is only a matter of time before the market shifts as it always does.” The concern is that buyers waiting for the bottom of the market in order to make a purchase, may end up paying more when buying on the upswing. The average home is taking approximately 55 days to sell which is the greatest number of days in the past several years. The five year average for days to sell in August is 46. 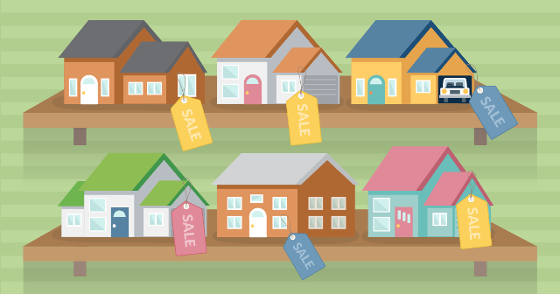 Homes that have been priced relative to this market will see a sale in much less time. The sales to listing ratio compares the number of new listings against the number of sales for the month. In August, the sales to listing ratio was 41% which is consistent with the past three months. This means that for every five home listed there are two sales. The sales to listing ratio year to date was 37.7% which is down 3.5% compared to 2016. Furthermore, based on the current level of home sales, it would take between six and seven months to clear out the active listings, this is above the five year average of just over five months. Two thirds the way through the year, Saskatoon and area saw a total of 3,344 transactions, down 5% from last year. The total number of homes listed for sale, year to date, was 9,904 which is virtually unchanged from 2016. The total dollar volume for Saskatoon and region year to date was $1,139 billion, down 9% from the same period last year. Within the Saskatoon market, the number of transactions year to date was 2,484 representing a 5% decline from the same period last year.